Occasionally even an unlikely boatbuilder should get to do some sailing, so that's what I did this summer, mostly. No great adventures to report, but I finally got to use some of the gear I've been building for the Blue Moon. There was my new bowsprit and jib-handling gear to experiment with, and I finally took the time to really practice handling her under sail. Like the afternoon my friend Tony and I sailed her upwind into a tiny little gunk hole, making short tacks through the narrow channel, just like a real Coot, finally dropping anchor in a quiet little pool with the satisfaction that comes from leaving the engine off. Or the time we sailed her into Huntington Harbor, through the narrow entrance, up the long channel, through the crowded mooring field, and right up to the mooring. Sweet. It's little moments like that that make all the work worthwhile. I wasn't completely idle in the shop. 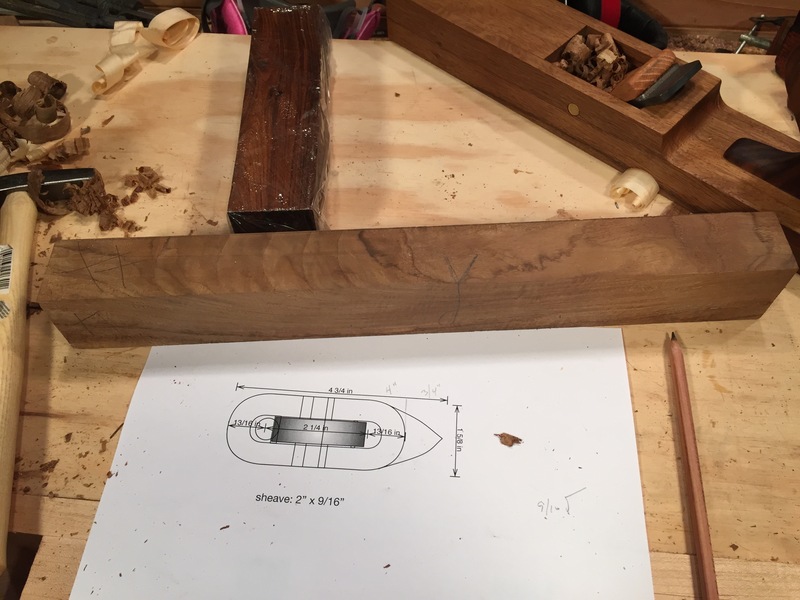 After building my jack plane, I finally understood enough about how wooden planes work to tune up my old smoothing and jointer planes. The secret was getting their soles dead flat, cleaning up the wedges (to keep shavings from jamming under them), and getting a sharp edge on the blade. They worked so well, I even took some fine steel wool and linseed oil and polished the accumulated grime off them. Now they work and look great, if I do say so myself. Of course, if you have some good planes, you need to do something with them. One aspect of my jib-handling gear that I was not happy with was the single purchase on the jib halyard. Even putting my whole weight on the halyard (a not inconsiderable force), I didn't feel like I was getting the luff tight enough. One day, when I was looking balefully at the jib sagging off to windward, I decided I needed one more piece of gear, and I even knew what I needed: a handy billy. 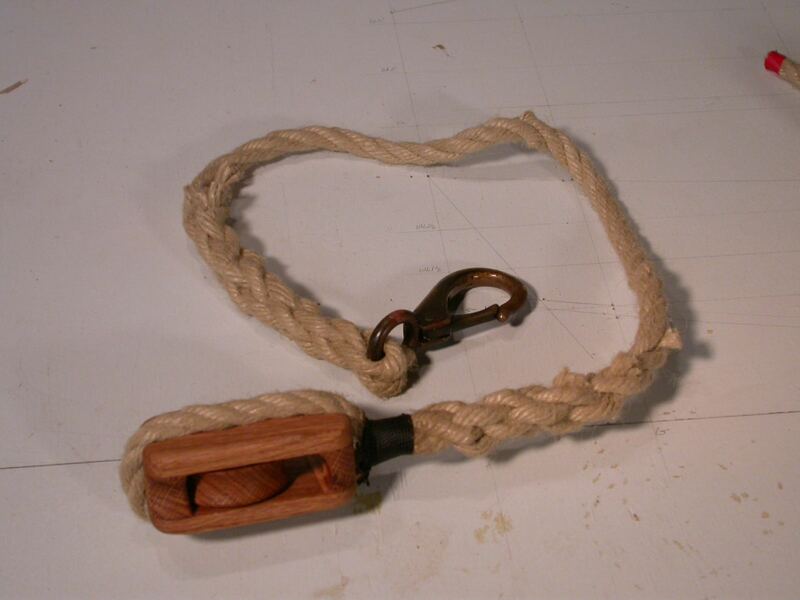 A handy billy is essentially a small tackle that's flexible enough to have many uses on a boat. What I had in mind is traditionally called a luff tackle, which does exactly what it sounds like: hauls the luff of a sail tight. One end of the tackle is fastened to an eye-pad on deck and the other is hitched onto the halyard. With a 3:1 or 4:1 power ratio, I should be able to finally get the jib luff tight. To build some blocks, I needed some wood. 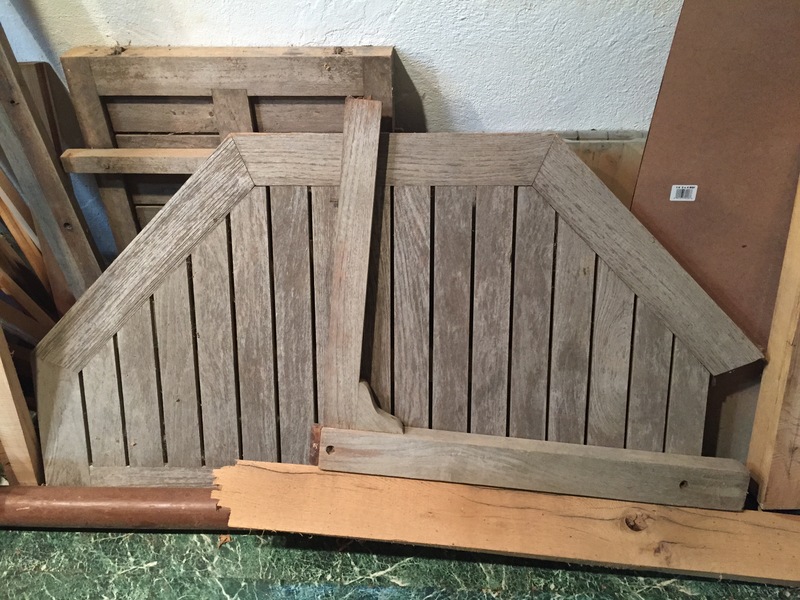 I happened to have some teak that I salvaged from a rather nice teak table. The teak itself was still in great shape, but the fastenings used in the table's construction were, well, I think crap is the technical term. So the table fell apart. Teak in my scrap pile. One of the legs was just the right size to make a few block bodies. A few swipes of a plane squared it up and revealed the lovely teak right under the greyed patina. Then I needed some sort of wood to make the sheaves from. The ideal wood for this is the rare and expensive Lignum Vitae. I bought a 2"x2"x8" blank of the good stuff on the Internet. I just needed a plan. Long time readers may remember my previous forays into block making. The Mark I and Mark II blocks are better left forgotten, but my Mark III block wasn't all that bad. In fact, it is still hard at work as the outhaul tackle for my mainsail. The Mark III block, still hard at work. 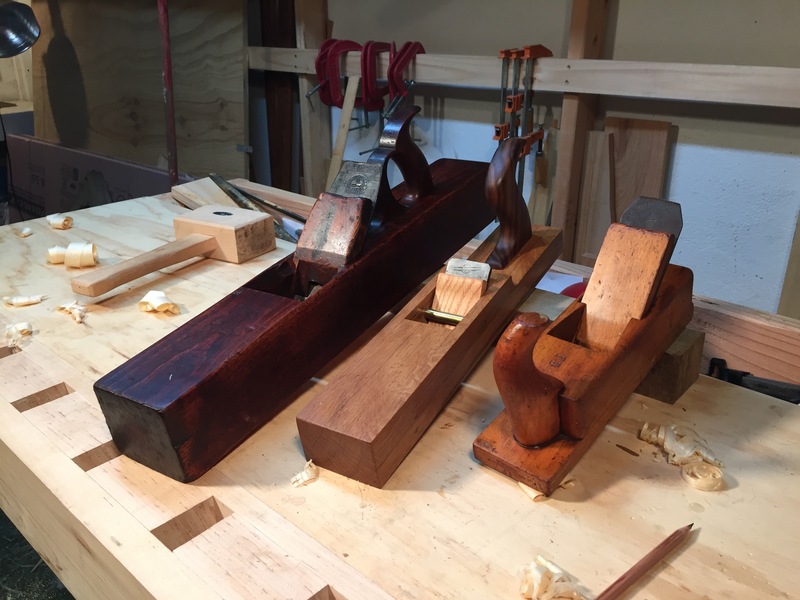 All my blocks thus far have been built up with two cheek pieces, and spacers, only because I had no idea how to cut a mortice in a solid block of wood. But I've learned one or two tricks since then, and I was determined the Mark IV block would be a solid, rope-stropped block. Since the dimensions would largely be set by the pieces of wood I had available, the plan was pretty straightforward to draw. So, with wood and plan in hand, it was time to start making sawdust.